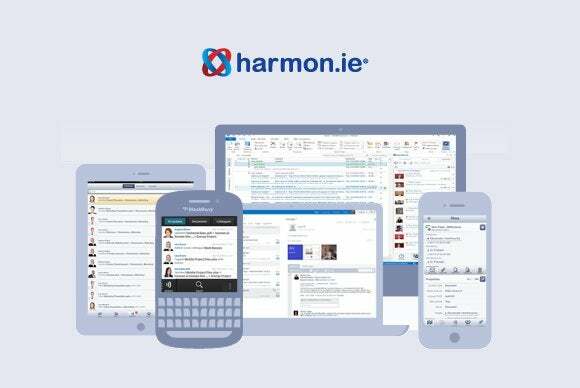 A new mobile application from Harmon.ie promises to improve the way people use Microsoft Office 365 from iOS, BlackBerry and Android tablets and phones. Users will be able create, edit, share and store documents using Harmon.ie 4.0 to tie together Office 365 components like SharePoint Online, Yammer, Office Web Apps, Outlook and SkyDrive Pro. "We want to let people work on Office 365 from mobile devices in ways they haven't been able to," said David Lavenda, Harmon.ie's vice president of product strategy. Microsoft has been criticized for what is viewed as limited mobile access to SharePoint in particular. The company has a SharePoint Newsfeed app for Windows Phone and iOS, and plans to release it for Windows 8 before mid-year, and for Android later on. In addition, a SkyDrive Pro mobile app for Windows 8 and iOS is also due by mid-year; it's available now for Windows Phone 8. In addition, Microsoft has been reluctant to go all out and release a native iOS version of Office, for which there is significant demand from iPad users, especially those who use their iPads for work. Recently, Microsoft has been beefing up Office Web Apps, a suite of browser-based versions of Word, Excel, PowerPoint and OneNote. It has also optimized it for non-Windows browsers and platforms, starting last October with the iPad and its Safari browser. Last week, Microsoft said that in the coming year it will add features to Office Web Apps like real-time co-authoring of documents and the ability to run in Android tablets via mobile Chrome browser support. While Microsoft scrambles to improve mobile access to SharePoint and to other Office 365 applications, products like Harmon.ie are moving in. Harmon.ie 4.0 is available now for iOS and BlackBerry, and will be available for Android in this year's third quarter. It's sold on a subscription basis with pricing starting at $4 per user per month.